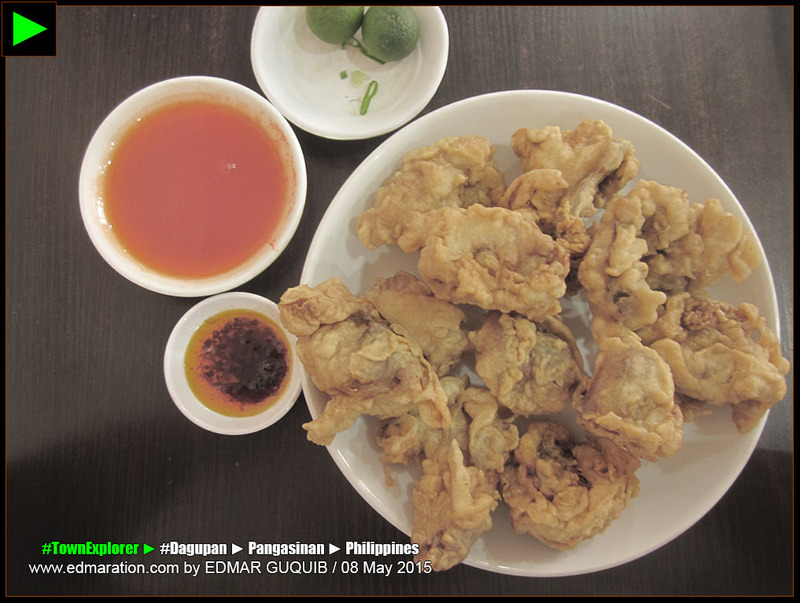 ...this is the first serving of the blog menu I'll be offering soon covering food and restaurants in Dagupan City. 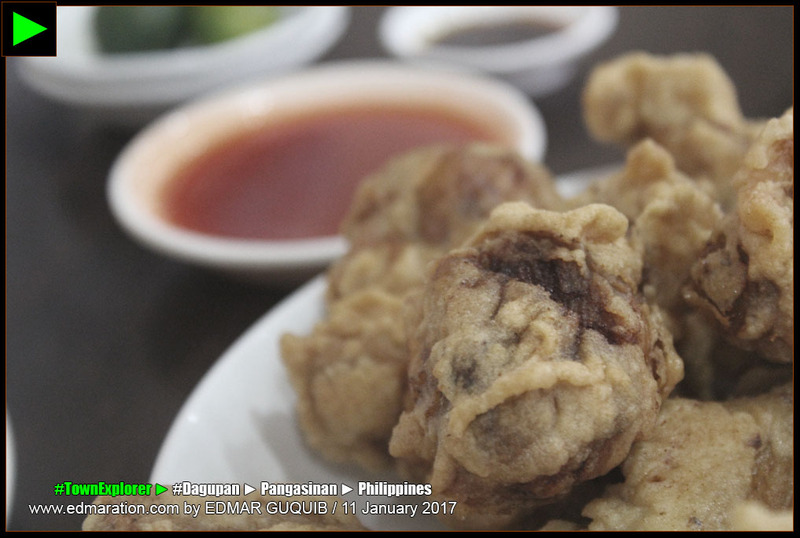 [DAGUPAN, PANGASINAN PROVINCE, ILOCOS REGION, LUZON ISLAND, PHILIPPINES] ► This post is the start of my long overdue plan to blog all the restaurants I've tried in Dagupan. Now that I'm less lazy to do it, I'm taking advantage of the hot and brewing motivation I'm feeling now before it's gone. 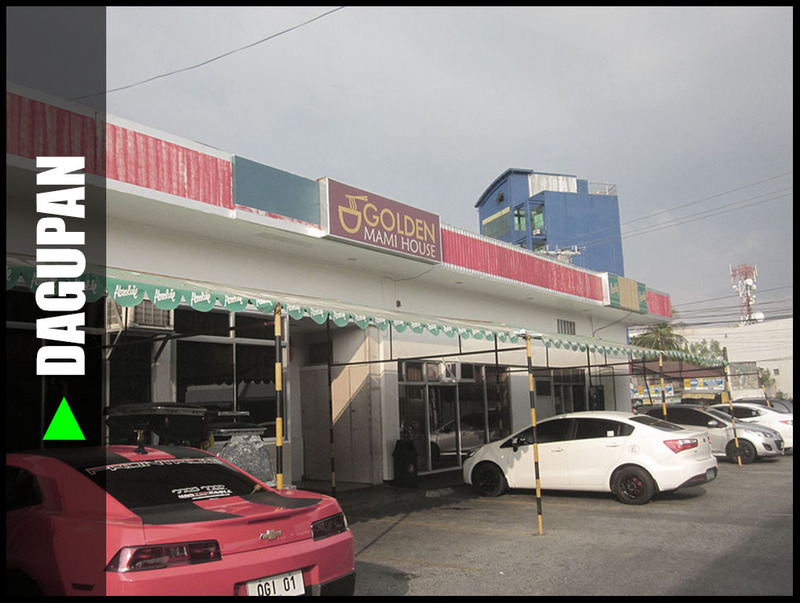 Dagupan is a lovely city in the contemporary food scene. 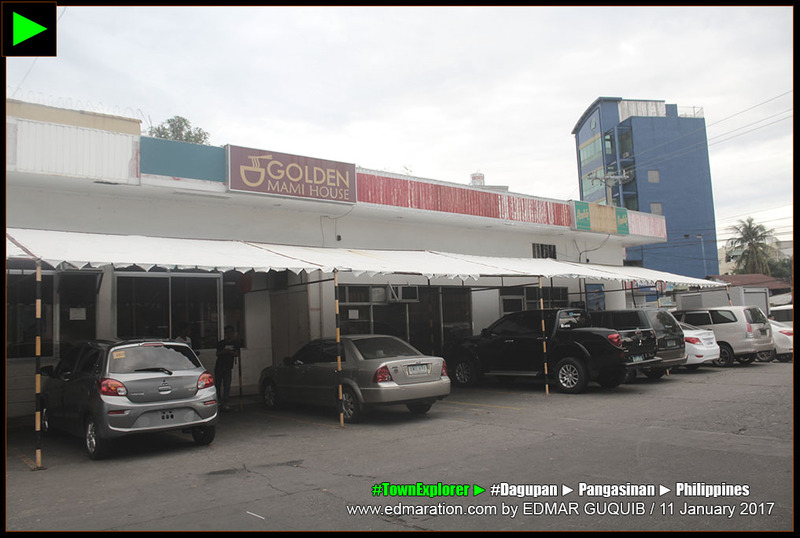 There are many restaurants here and café‎‎s of different genres. 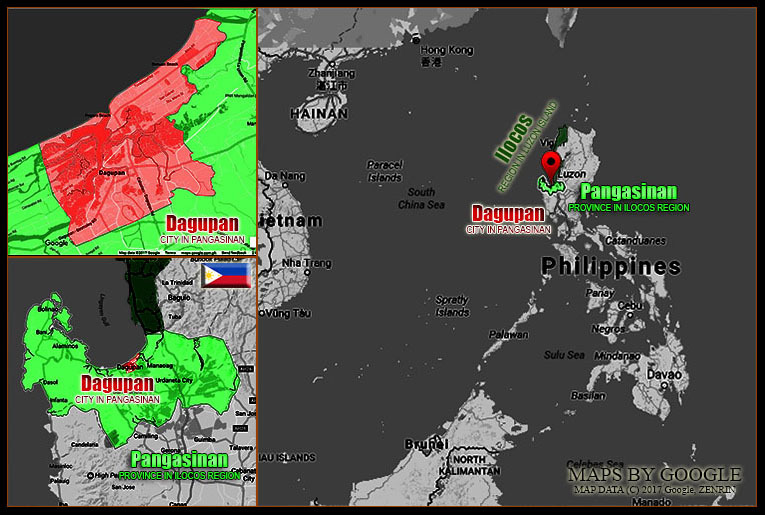 In my case, it's not really disappointing to visit Dagupan if you're looking for places to eat. 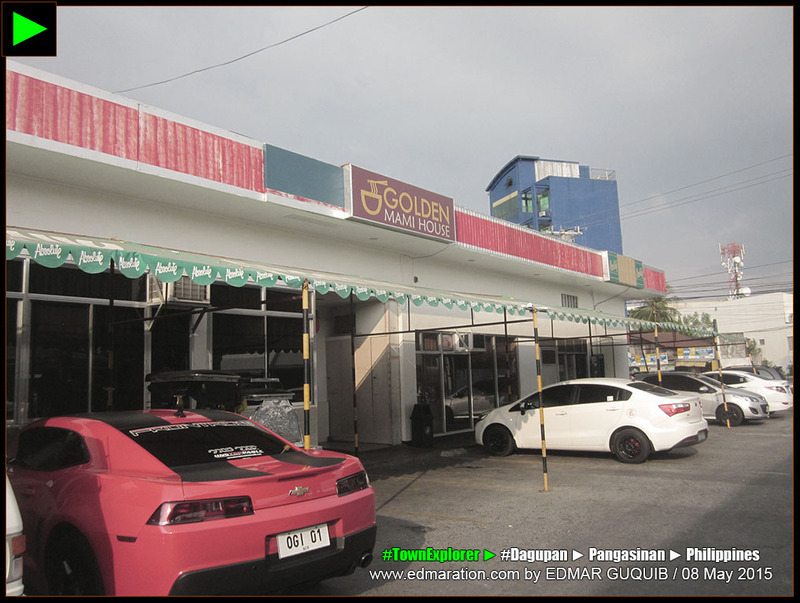 Fusion dishes, innovative recipes as well as traditional dishes are not hard to find in Dagupan. 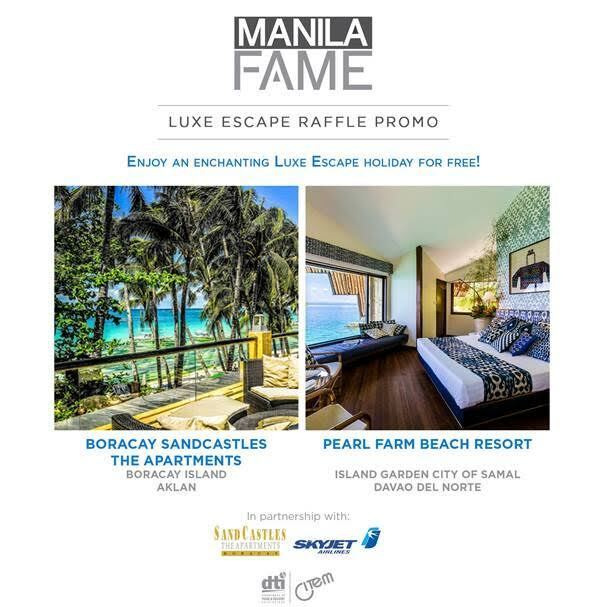 By the way, this is not about the typical restaurant review that we've known. You're reading a travel diary and my experiences and feelings are the highlights here, not the restaurant or the food. 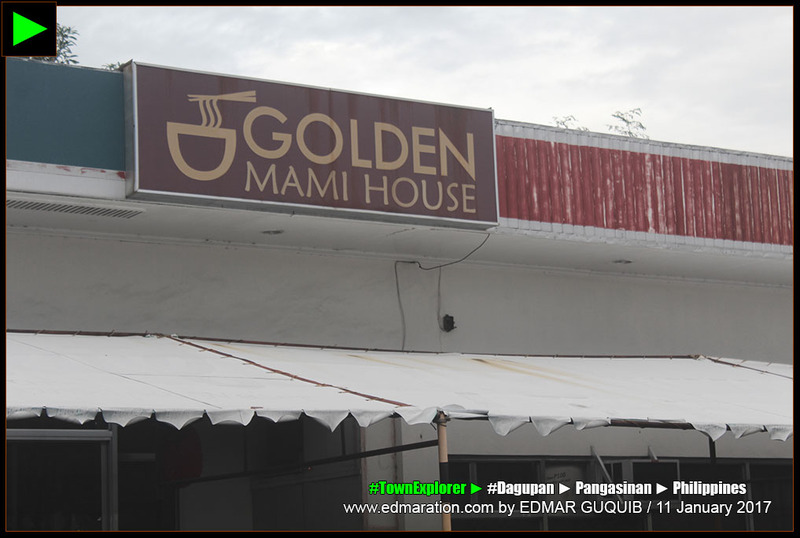 Anyway, I would like to start my Dagupan restaurants compilations with Golden Mami House. The first time I entered this restaurant was on 08 May 2015. 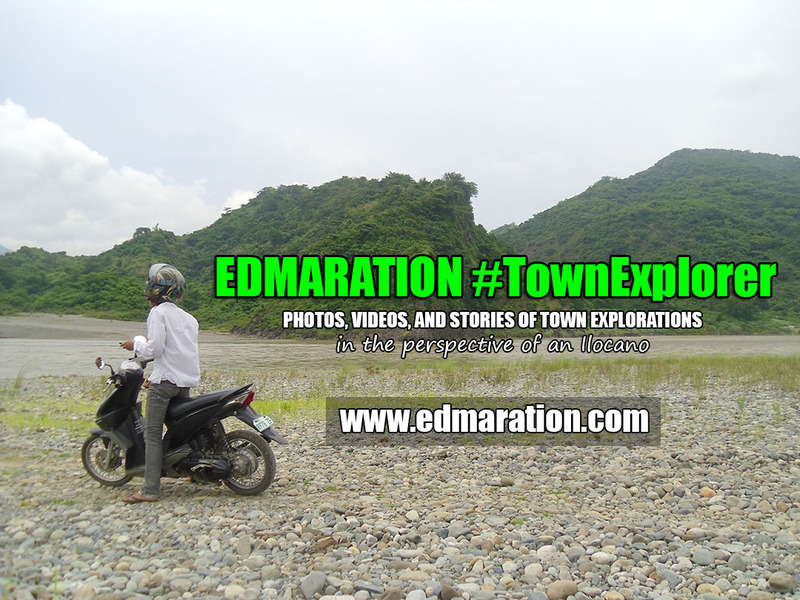 I came here because it was the restaurant suggested by a random tricycle driver I hired when I told him that I was looking for a Chinese restaurant or anything oriental. It was hard for me to choose for a food to eat here because their servings were usually for a group of at least three people. Yeah, they have big servings. Sadly, I was all alone. Not wanting to waste more time, money and effort by looking for another restaurants, I chose to order a chicken meal named chokwe. The first food that I ate here was named chokwe and God knows how un-knowledgeable I am about the name of Chinese food and on how they should appear. They first served me the condiments. The price of the food I ordered was more than 100 pesos as far as I remember and I thought this would give me a good lunch! Before they served me the food, I really didn't know how it should look like. All I wanted that time was to eat a rice meal and I ordered this because, yeah, it had to be taken with rice, verbose. I didn't opt to order long-life meals that time. 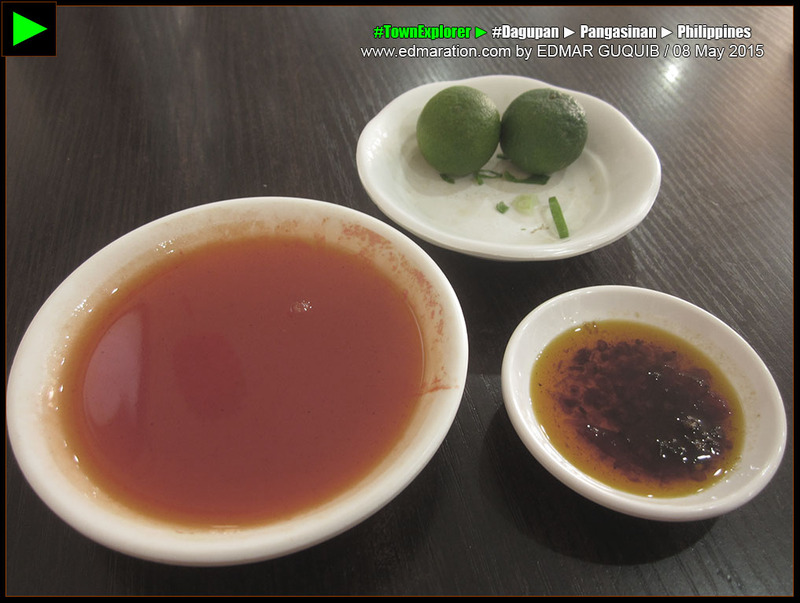 I was first served with two pieces of calamansi, chili paste and an orange sauce that tasted sweet and sour (mixed taste). I loved the sauce. 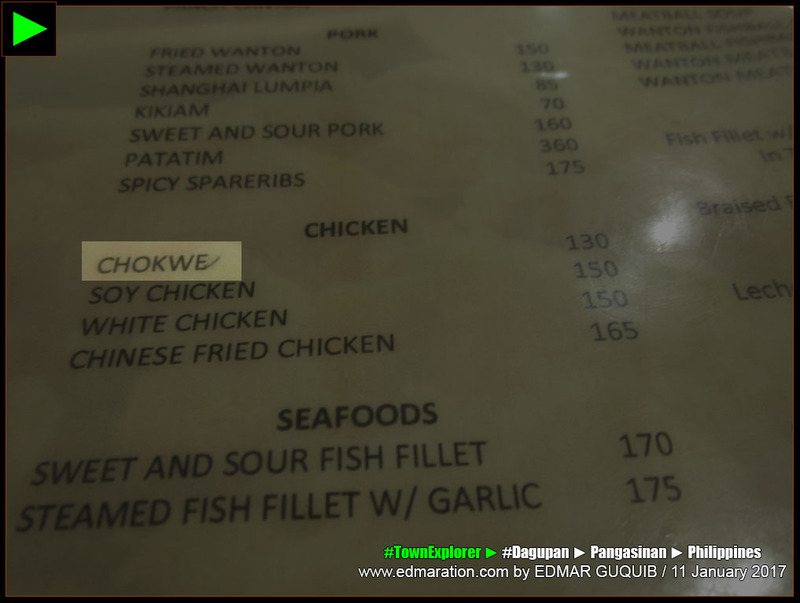 Afterwards, they served me what I ordered and that was the time I realized that chokwe was pieces of crispy fried chicken! I thought it was just a regular fried chicken meal but the food, as far as I'm concerned, had its unique qualities that's hard to explain and put in detail. 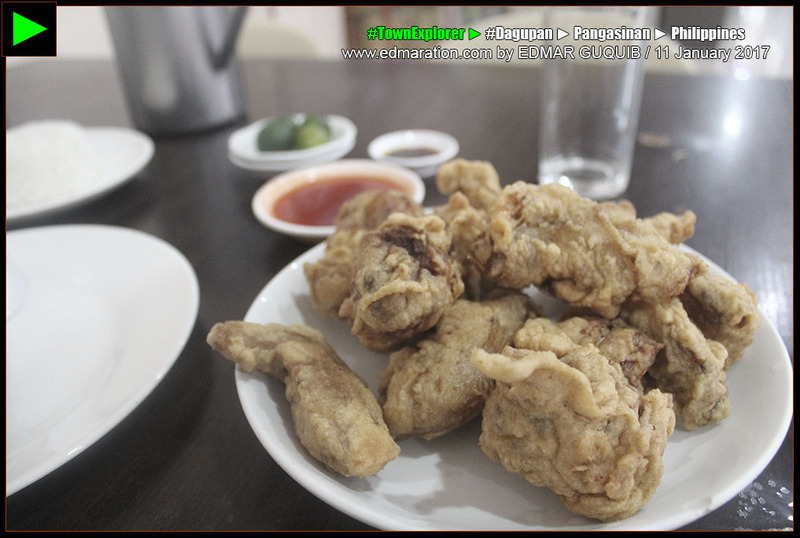 It was crispy but it was more refined (not the usual crisp in fastfood meals or elsewhere) and I actually considered that it was a good meal, better than those sold in fastfood chains. I got a satisfactory experience from what I paid. The chunks were smaller like it was bite-sized. It was not really the chicken-joy brand we've known. Almost two years after, I'm back here! It wasn't really an intended return. It was more of a random return. 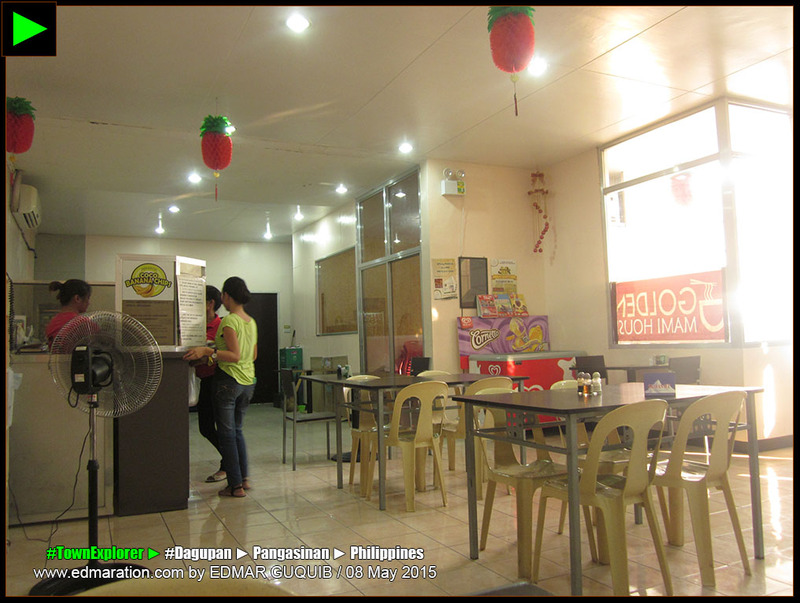 While walking the streets of Dagupan hungry and desperate for rice meals, I saw this restaurant once again. 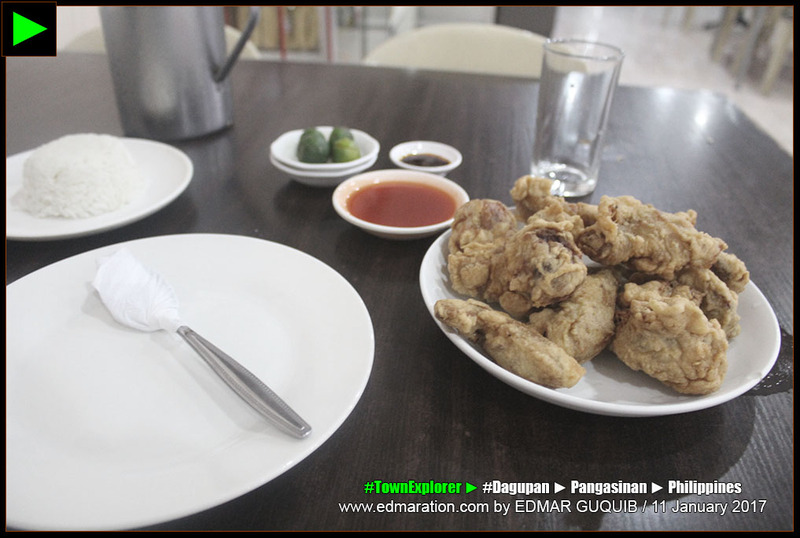 Since I was craving for a huge meal, I chose to eat here because of the satisfactory experience I had back in 2015. I ordered that same food! 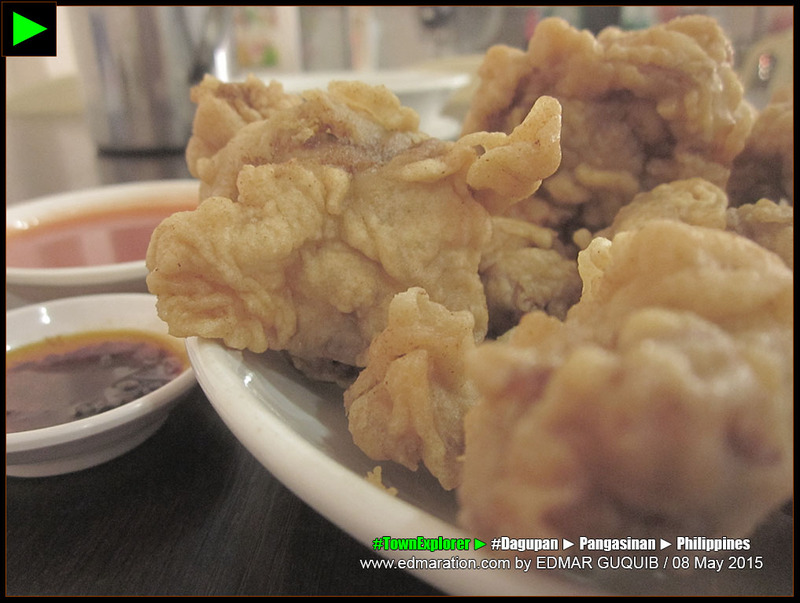 My hunger was relieved and I promised myself to try another dish on my third visit here.